Sam proved the power of progress photos. Without them, he failed time and time again. With them, he saw the changes, fixed his weak points, and built a physique that most men envy! When I was young, my parents involved me in a lot of physical activities. I was always doing something. I started playing soccer when I was four years old and this brought a love for sports and athletics to me. 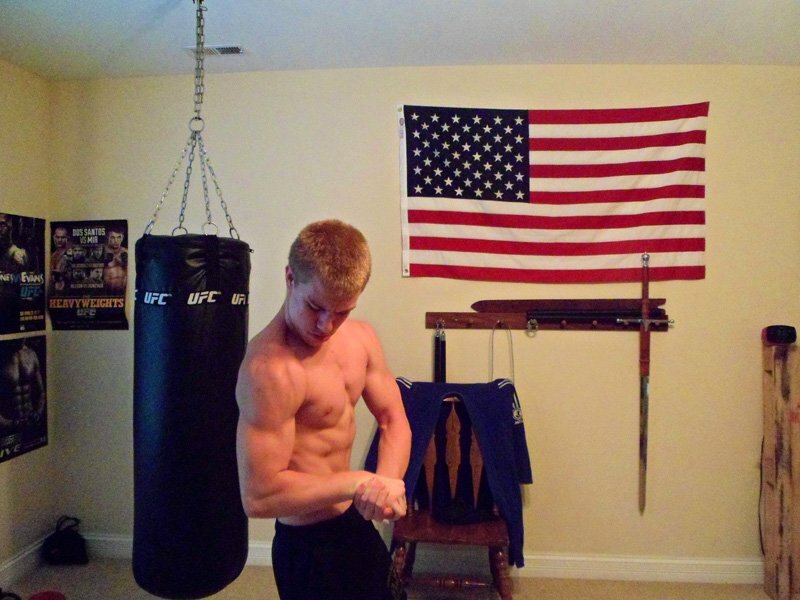 In seventh grade, I discovered mixed martial arts and started wrestling. I always got comments from people about how small I was getting, as I weighed around 95 pounds. I decided to start trying to get bigger. 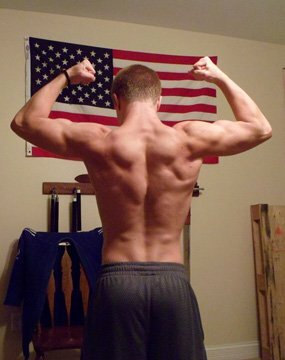 I was never dedicated or passionate about it until last year when I got a BodySpace account after my sister recommended it. She said it would help a lot with motivation because I would be able to see noticeable progress through my pictures. 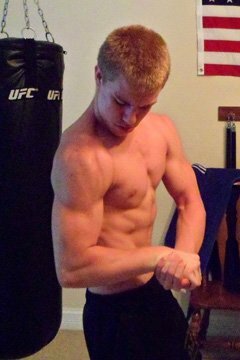 I began reading articles to learn the best ways to pack on lean muscle mass healthily. 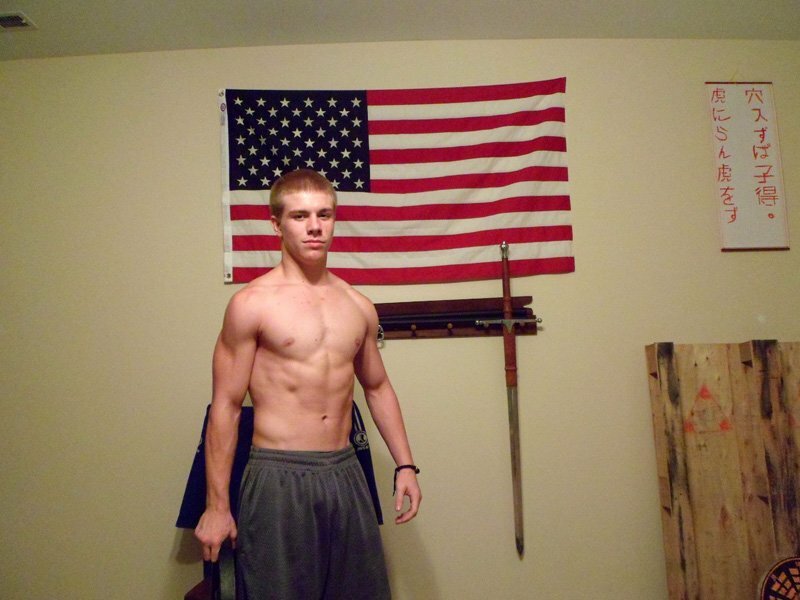 By my sophomore year of high school I weighed around 110 pounds at six percent body fat. 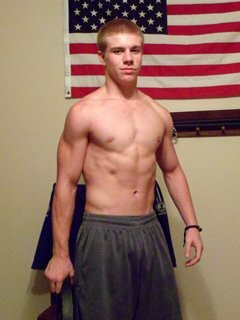 Halfway through that year, I became more disciplined with lifting and getting bigger. Six months later I have gained 43 pounds and am sitting at seven percent body fat. I now weigh 153 pounds. My uncle is who sparked my love of the sport. He talked about bodybuilders such as Ronnie Coleman and Jay Cutler. I started looking up these bodybuilders on YouTube and watching bodybuilding videos. I fell in love with the sport after that. I push myself as hard as I can during every workout. I try my best to minimize the amount of rest I take to increase the stress on my muscles. I talked to a personal trainer while on a cruise with my family. He strongly recommended drinking egg whites in the morning for protein, and since then, I have made more gains and seen better progress. In this sport, anybody can succeed given they have discipline and passion. It's based solely upon hard work and dedication. What you put into it is what you get out of it. I heard a quote on a video I watched and it has stuck with me ever since: "People say you have to have a lot of passion for what you're doing, and the reason is because it's so hard that any rational person would give up." This quote, to me, sums up bodybuilding. It is one of the hardest things anybody could attempt, and without discipline, without passion, you will not get anywhere. But with discipline and passion, you can achieve anything. My stepsister really motivated me by pointing out progress she could see after I began working out. She always told me I was doing a really good job and that she believed I could do anything. She, along with my parents and two sisters, played a key role in me achieving my goals. Without them I would not have been nearly as dedicated to my goals. For inspiration I would usually turn to YouTube. When I wasn't feeling motivated I would watch videos of my favorite bodybuilders such as Jay Cutler or Craig Capurso. I try as hard as I can to set myself apart from other people and be the best that I can be. I would really like to major in exercise and nutritional science in college and try to be a personal fitness trainer. Wherever my fitness takes me, I'll go with it. Don't let other people get you down. Work hard and don't ever give up. What you put into it, you will get out of it. I really like Jay Cutler because he is about the same height as me and he has such an amazing work ethic. He always inspires me to work harder. The progress pictures are what really helped me at the beginning. My problem was that I would quit after seeing no progress. After I began uploading pictures and taking my body measurements, I really started noticing a difference. This is what really pushed me along with all the amazing people who have commented and rated pictures of me with encouraging words.